November saw another decline in new car sales - the eighth consecutive month. Overall the market was down by 11.2 per cent compared to November 2016 with another fall in diesel registrations. However, delve a bit deeper into the figures and you'll discover that most of that decline happened in the business and fleet sectors. In fact, private registrations only fell by a little over five per cent. Business registrations on the other fell 33.6 per cent, with fleet registrations declining 14.4 per cent. While dealers may be concerned about sales, consumer confidence isn't as low as the mainstream media would have you believe. Indeed, the 2017 Honest John Satisfaction Index shows that nearly a third of our readers are planning on buying a new car this year. The good news for consumers is that slowing sales mean buyers are in a stronger position to negotiate on new car prices and get a better deal. Indeed, wth dealers worried about meeting sales quotas, there are plenty of discounts and deals around. Once again diesel registrations fell - this time a further 30.6 per cent - but this is tied in with the fall in business and fleet sales, the vast majority of which are diesels. The change in the VED structure in April this year also led to a large number of cars, especially diesels with low CO2 ratings, being registered in the first four months of the year to take advantage of lower annual road tax. The Alternatively Fuelled Vehicles (AFV) sector - otherwise known as hybrid and electric cars - continued to make significant gains, growing 33.1 per cent. However, they still only make up 5.4 per cent of the UK car market. 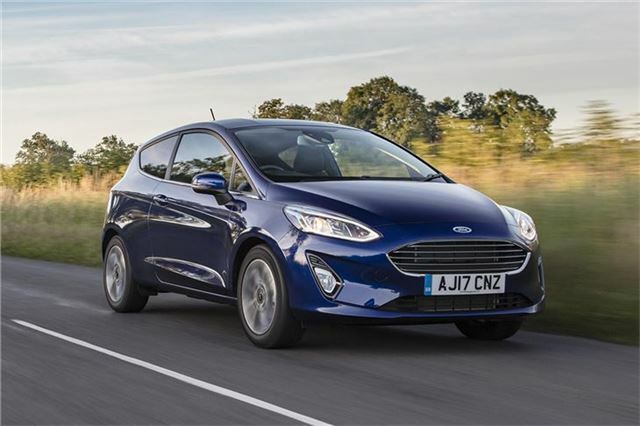 The new Ford Fiesta is, as expected, being swept up by eager buyers. This new generation Fiesta arrived in showrooms in July and is just as good as ever, but with a bit more space and better refinement.